Aviation settings have risks by nature but they are also becoming high target hazards for those wishing to do harm to others. Assist emergency responders by capturing and sharing all AEP required data elements and more. Aircraft crash charts, blueprints and floor plans, aerial photos, locations for predetermined command posts – triage – evacuation – treatment – staging areas-landing zones, etc. 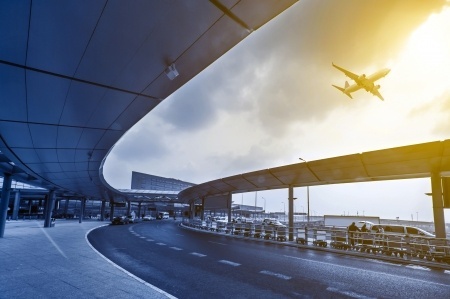 Preplan your passenger terminals, parking garages, baggage distribution areas, tenant hangars, fuel farm and fuel storage areas, underground fuel pipelines, air traffic control towers, and evacuation plans for sterile/non-sterile areas. Prepare with an “All Hazards” approach to any type of incident (aircraft accident, structure fire, hazmat, fuel farm and fuel storage area incidents, active shooter incidents, hijack incidents, natural disasters, movement area power failures, etc.) so the airport, runway, taxiway or ramp can reopen as quickly as possible. Blueprints and floor plans, aerial photos, locations for predetermined command posts – triage – evacuation – treatment – landing zones, etc.